Delayed exchanges, also known as a forward exchange, have been permitted since a series of court decisions in the late 1970s known as the Starker decisions. Delayed exchange procedures have evolved over the intervening years into a very streamlined and efficient method for deferring taxation when qualifying property is sold and the proceeds re-invested in like kind property. Most delayed exchanges involve a third party intermediary, such as 1031 Exchange Corporation, to facilitate the exchange. The IRS has published safe harbor guidelines for delayed exchanges using an intermediary. This means that the exchange will not be challenged if the guidelines are followed. Under the safe harbor rules, it is no longer necessary for title to exchanged property to pass through the intermediary. Title can pass directly from an exchanger to a buyer or from a seller to the exchanger. This greatly simplifies the closing process. You sign a contract to sell the relinquished property, preferably with contract terms requiring the buyer to cooperate in the exchange. You ask 1031 Exchange Corporation to serve as intermediary and assist in the exchange. You provide us with a copy of the contract to sell and notify us of the location and proposed date of the closing. We review the contract and obtain other required information from the title company or attorney closing the sale. 1031 Exchange Corporation prepares all necessary exchange documents. You sign the exchange documents and 1031 Exchange Corporation closes on the purchase of the relinquished property and instructs the closing agency to deed the property directly from you to the purchaser. We direct the closing agency to send all proceeds of sale directly to 1031 Exchange Corporation to be held pending the purchase of replacement property. You have 45 days from the sale of relinquished property to identify replacement property and 180 days from the sale of relinquished property to close the purchase. You sign a contract to buy replacement property, preferably with contract terms requiring the seller to cooperate in the exchange. You notify us of the contract and provide a copy of the contract. 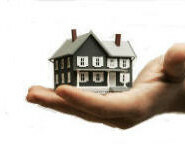 We obtain other required information from the title company or attorney closing the purchase. 1031 Exchange Corporation prepares all required exchange documents. You sign the exchange documents. We instruct the closing agency to have the replacement property deeded directly from the seller to you. We transfer your exchange funds to the closing agency and provide an end of transaction accounting of all funds.